Collagen treatment gives you a more youthful appearance by correcting fine lines and wrinkles, as well as improving the overall texture of your skin. This treatment is available to patients in Jupiter, West Palm Beach, and Palm Beach County at Supriya Aesthetic Dermatology. Collagen is a naturally occurring substance in your body. This substance provides an underlying structure to your skin. Collagen levels decrease with age, though, as a result of sun damage and certain lifestyle habits, such as smoking. Without the necessary supportive structure of collagen, your skin begins to sag and develop lines and wrinkles. Collagen treatment is an injectable cosmetic filler. The injections contain collagen that works to add volume to your skin, corrects wrinkles and improves the texture of your skin. How does Collagen Treatment work? Collagen treatment replenishes your body’s collagen supply. This allows your body to rebuild the supportive framework of the skin. Once this framework is rebuilt, your skin evens out, and wrinkles and sagging disappear. How is Collagen Treatment administered? Collagen treatment is a minimally invasive treatment. 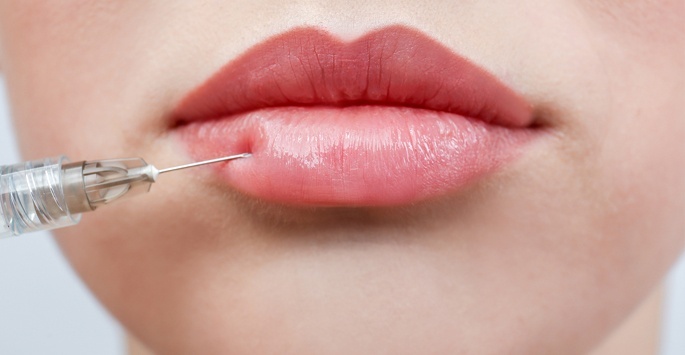 Dr. Tomar uses a very fine needle to inject the collagen into the treatment area. The number and locations of the injections depend on your individual treatment plan and the extent of the desired correction. You will see results immediately after your collagen treatment. Your skin continues to improve over the course of a few weeks. For most of our patients, the results of their collagen treatment last up to six months. Some patients have results for longer periods of time. You may experience mild discomfort at the injection site. You may also have mild bruising, swelling and redness, which should resolve within two days. Who is a good candidate for Collagen Treatment? Many people believe that they can only improve their appearances with extensive surgeries. Collagen treatment is a safe and effective alternative that uses natural collagen to correct your fine lines and wrinkles. How Much Does Collagen Treatment Cost? Skin rejuvenation treatments are considered to be elective, so most insurance providers won’t cover the costs. To help make collagen treatment affordable and accessible for everyone, Supriya Aesthetic Dermatology offers financing options via CareCredit®. We also accept cash, personal checks, and major credit cards. Contact us today if you have any questions about the cost of collagen treatment. Dr. Supriya Tomar is a board certified dermatologist and expert injector of collagen for patients in Jupiter, West Palm Beach, and Palm Beach County. She has been doing injections for over 10 years and one of the busiest injectors in Palm Beach. She is well known for giving her patients beautiful and natural results and is a recipient of the Platinum Award from Medicis, the makers of Restylane® and Restylane® Lyft.